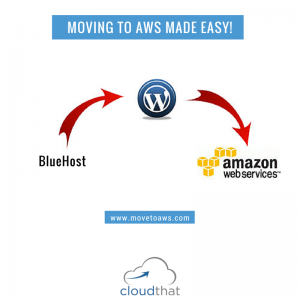 Moving To AWS Made Easy! We are extremely proud to launch our new initiative, www.movetoaws.com. We have created this platform to offer applications that will facilitate moving various web properties from various sources to AWS (Amazon Web Services) seamlessly & hassle-free. We are super excited to roll-out our first offering under this initiative, i.e., moving WordPress websites from BlueHost to AWS. The application itself is free, but AWS charges will apply for using their products and services. In-case of any assistance / queries / feedback, kindly feel free to contact us via respective forms available on the platform.